Our 1213 Walnut​ team is excited to announce that we’re partnering with our friends and neighbors ​at Astral Artists​ and WRTI​ to bring an afternoon of contemporary classical music and tons of fun to our Midtown Village​ neighborhood on Saturday, Sept. 15. Philadelphia’s inherent—and deeply rooted—history gives the City of Brotherly Love an especially classic appeal. It should come as no surprise, then, that our city has a remarkable classical music scene, both inside the nearby Kimmel Center ​and beyond. On that note (pun intended), our 1213 Walnut​ team is excited to announce that we’re partnering with our friends and neighbors ​at Astral Artists​ and WRTI​ to bring an afternoon of contemporary classical music and tons of fun to our Midtown Village​ neighborhood on Saturday, Sept. 15. If you aren’t already familiar with Astral Artists and WRTI, allow us to introduce you. Astral Artists is a niche organization and career incubator specializing in nourishing the skills of emerging classical musicians. Although their public programming is Philly-based, their reach is worldwide. Astral works with artists from all over the globe to help develop their careers as contemporary and dynamic musicians. We are proud to share our neighborhood with an organization that helps to shape the world of the arts! WRTI is a beloved, member-supported Philadelphia radio station that brings classical and jazz music to much of the tri-state area. If you haven’t tuned in to their public broadcast, give it a listen—it’s especially ambient during a dinner party or a lazy, relaxing morning. 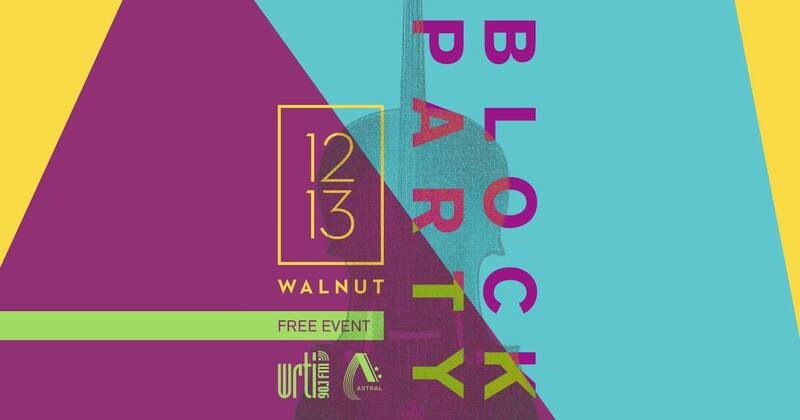 Our friends at Astral and WRTI chose 1213 Walnut to showcase their first-ever outdoor concert series because of the lively and colorful culture our neighborhood has to offer. We’re excited to see the artists share their talents with our residents—and the rest of Midtown Village—to show that classical music isn’t a stodgy music genre, but one that has evolved and can be interpreted in modern and enticing ways. So, what can you expect at the event? 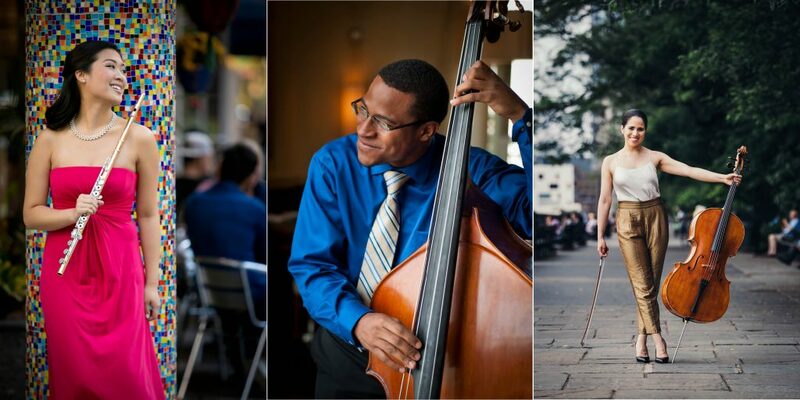 Hosted by WRTI’s Debra Lew Harder​, this lively block party will showcase some of Astral’s most talented and acclaimed artists like Annie Wu​, Xavier Foley​, and Christine Lamprea​ performing contemporary takes on classical tunes. From original compositions to beatbox flute performances, this is sure to be a true celebration of the arts. But, a block party wouldn’t be complete without food, booze, and some old-fashioned face painting—in that order! (At least that’s what we suggest.) While you’re grooving with us, you’ll be able to snack on delicious treats from The Baker’s Jar​ and fresh food from Urban Village Brewing Company​. As always, our space is pet-friendly, and we encourage guests from all over the city to join us in Midtown Village. Join us on Sat., Sept. 15 from 3 to 5 p.m for a fun end-of-summer celebration. For our beloved 1213 residents, the festivities start in the private drive at 2 p.m. Our block party is free, but food and drink are for purchase. Whether you want to discover new music, enjoy the last taste of summer, or spend quality time in the city, this get-together is sure to a good time. And hey, while you’re in the area, head upstairs for a tour of 1213 Walnut to experience Center City living like no other.